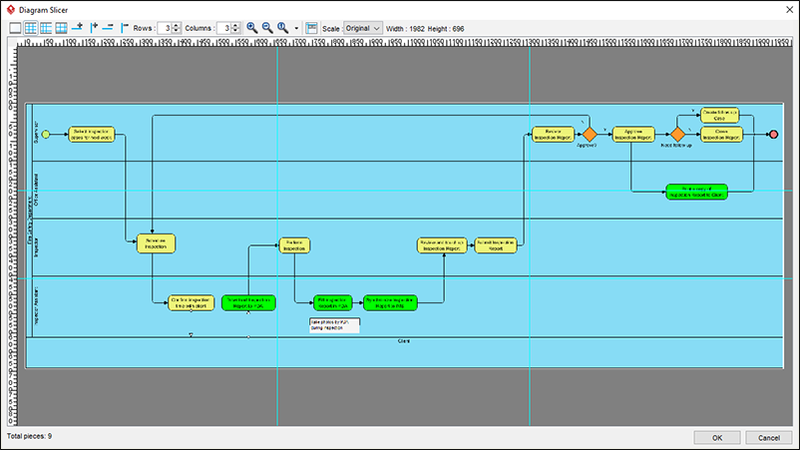 Array of import and output formats for the exchange of process design. Slice big diagram into multiple manageable image files that is both printer and reader friendly. With this feature, large diagram can be broken down into pieces, to fit into documentations in different size. Carry on business process modeling by importing BPD from BizAgi project.